Have you ever had the feeling that you knew someone whom you previously had never met or spoken with? Weird, isn’t it? That’s what I felt when I met Joe Jurzec, part owner of Purity Audio Design. Four or five years ago, I was talking with a friend about Roger Paul’s H-CAT preamplifier. Seems he knew of a dealer that carried the H-CAT, Jam’n Audio, in Lake Villa, Illinois. As soon as I heard “Lake Villa,” which is more than an hour’s drive from my home, the conversation, as far as I was concerned, was over -- any drive of longer than an hour is too long for me. Fast forward to October 2010 and the Rocky Mountain Audio Fest, at which I had a pretty good time -- the event turned out to be much larger and more involving than I’d imagined. I entered the Purity Audio Design room, though it seemed a little too busy for any kind of serious listening. What caught my attention was a preamplifier whose shape was different from those of most preamps I’ve seen. I’d already been keeping an eye out for tubed preamps, especially after having been treated to a rousing demo given by Emmanuel Go, of First Sound, earlier that afternoon. I stood there a moment, stunned. Then we did exchange cards, and agreed to get together after the upcoming holidays to discuss the possibility of my reviewing a Purity Audio model. The time neared for the arrival of the Purity Reference ($8995 USD) -- I was looking forward to hearing it, based on what I’d heard in Purity Audio Design’s room at RMAF. The Reference arrived safe and secure, nicely double boxed. (I’ve since learned that all Purity Audio products will now be shipped double-boxed inside crates.) Accompanying the preamp were a solidly constructed remote control, an owner’s manual, an AC cord, and two 12AU7 tubes, each with an estimated lifespan of 10,000 hours. The Reference is constructed of black acrylic polymer, and it looks as if considerable effort went into designing its chassis. Most of the chassis is formed out of 1/2"-thick sheets of acrylic. Other panels are 1/4” thick, laser-engraved with the Purity Audio Design logo, the model name, and labels for the controls, the engravings then filled with silver acrylic paint to more clearly reveal them. Earlier, I mentioned the Reference’s odd shape. It measures 17"W x 7.5"H x 15"D, but it’s wider at the top and tapers toward the base: a sort of inverted truncated pyramid. 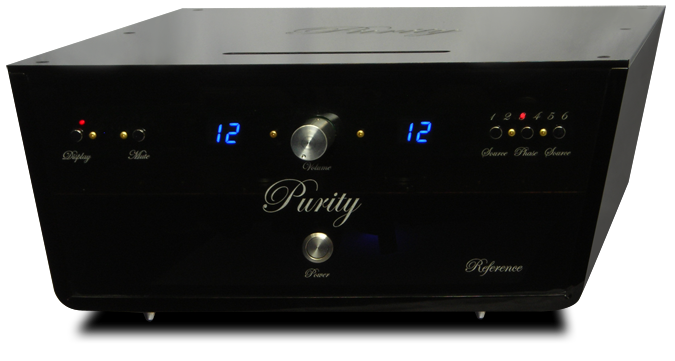 Gracefully engraved on the center of the front panel is the Purity logo; at the lower right, in smaller script, is the word “Reference.” Below the logo is a silver power on/off button, and above it a silver volume knob. To the left and right of the volume control are blue LEDs that indicate the volume setting, in 61 steps. On the right side of the front panel are two LEDs for each source, one orange, one blue. Orange indicates that the signal is in phase; press the Phase button on the remote or the front panel and the LED changes to blue, indicating that the signal is now out of phase. On the left side of the faceplate are silver buttons for Display and Mute. When Mute is engaged, a blue LED glows. The Display button, on both the remote and the front panel, shuts down all lighting on the faceplate, though all functions remain operable. Select or use any function when the display is shut off, and the complete display comes back on to let you see the changes you’ve made in volume, phase switching, or mute, before going dark again ten seconds after the last command. To reilluminate the display, press Display once on either the remote or the front panel. The rear panel has three pairs each of unbalanced (RCA) and balanced (XLR) inputs. There are also two sets each of balanced and unbalanced outputs. The unbalanced inputs and outputs are all transformer coupled. Purity Audio’s designer and chief engineer, Bill Baker, of Response Audio fame, calls the Reference a “class A, transformer-coupled, balanced design.” One of Baker’s main design goals was to isolate the Purity Reference from noise and other artifacts that can affect the signal. To that end, he claims to have reduced potential EMI/RFI interference at both the AC input and in the signal path by partitioning the Reference’s interior with walls of copper-lined aluminum. Also, Baker said, “Innerstage coupling capacitors within the tube circuit have moved up a notch in the Clarity Cap line. We are now using the Clarity Cap ESA in this position.” The Purity Reference is a zero-feedback design and is wired entirely point-to-point, with what Purity claims are very short signal paths. My first impression, and that of everyone who listened while the Purity Reference was in my system, was that it seemed to have no sound of its own. 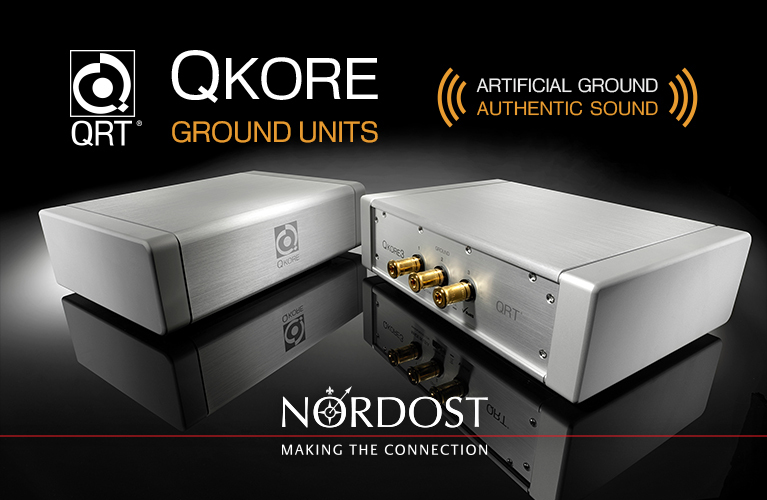 Compared to solid-state preamps, tubed preamps, solid-state preamps that sound tubed, and tubed preamps with all the best attributes of solid-state, the Reference had little that could be called a “character.” I listened closely for one, and several audiophile friends tried to find one, and none of us could. My beloved Klyne 7LX3.5B preamp, which I used to think was neutral, now sounds a bit lean by comparison. The Reference let music emanate from such quiet, black backgrounds that, whatever the musical source, there seemed to be more information to be heard. The high frequencies were sweet, silky, airy, and delicate -- and, at other times, so revealing of information that my brain had to work hard to take it all in. The Purity Reference’s bass performance was among the best I’ve heard. The bass was deep, tight, detailed, and full, and rendered with lifelike clarity. The midrange was textured and present, with no hint of sounding soft or muffled. The palette of colors and timbres offered by the Reference was broad and rich. The Reference had “see-through” soundstaging in my system that was difficult for me to quantify -- stages seemed to extend past my room’s side and front walls, with images that were clearly delineated, dimensional, and well defined. In fact, the Purity Reference imaged with the best I’ve had in my listening room. Which source I selected had the biggest effect on the size of the soundstage, but the Reference gave all sources an excellent platform on which to strut their stuff. My Esoteric DV50S DVD/SACD/CD player throws a wide, deep stage with lots of detail. My Merrill turntable presents a stage almost as large, but more natural sounding. Recordings of orchestras revealed very deep layering, with air between the rows of instruments. Singers were reproduced by a palette of many colors and sounded believably live. In fact, the Purity Reference revealed all kinds of vocal detail, such as lips parting, or a deep breath taken before the delivery of a long, sustained note. In short, through the Reference, voices sounded eerily real. A live album that I didn’t “get” at first but now enjoy is the Cowboy Junkies’ The Trinity Session (CD, RCA 74321183562). I used to think it an OK recording with a heavy bass line, but geez, I don’t think I’d ever experienced Margo Timmins as I did now, through the Reference. There was a richness and texture to her voice that captivated me -- not in the way Jane Monheit’s singing captures my attention, mind you, but Timmins’s combination of country and blues styles, with a little of Patricia Barber’s melancholy thrown in, add up to singing that speaks to my soul. The Purity Reference helped me make more sense of this recording. From allowing me to hear further into Timmins’s singing, to making better use of the individual performers, and bringing out more detail and definition in Alan Anton’s bass lines, the Reference was . . . well, a reference. Joël Grare’s Paris • Istanbul • Shanghai (CD, Alpha 523) is a sonic tour de force and one of my favorite reference recordings -- it allows me to listen for so many musical attributes. “Nihavent” is a traditional Chinese melody on which Guo Gan shows his considerable abilities with the erhu, or traditional Chinese violin, and the Purity Reference came through with excellent transient attack and abundant detail. “Kapsberger Forever” sounds like a traditional Spanish piece with guitar and bass, but what makes the track special is a flamenco dancer, Karine Herrou Gonzalez, dancing in the background. With the Reference in the system, I could easily follow her movements back and forth and from left to right. In tracks 9-12 -- “Bzzz,” “La danse des lézards céndres,” “El Sueño del Condor,” and “Le boulet rieur” -- Grare plays percussion while another member of his group pounds away at a large drum set that includes a kettle drum and big tom-toms. The powerful bass in these four tracks, which segue from one to the next, easily rattles objects in my listening room. 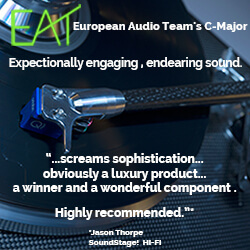 I was very impressed with the deep-bass extension and upper-frequency detail from my system with the Reference in place. A disc I’ve been playing a lot lately is the Stanley Clarke Trio’s Jazz in the Garden (CD, Heads Up HUCD 3155), an acoustic album that contains some thought-provoking solos. Clarke is his usual excellent self on bass, as is Lenny White on drums, but the real find here is pianist Hiromi Uehara. To hear this wonderful pianist play jazz is a revelation, and her performances in “Sakura Sakura” and “Brain Training” are inspiring. The acoustic piano has long been considered one of the hardest instruments for an audio system to reproduce because of the complexity of its sounds. Through the Purity Reference, the pianos of Uehara and others sounded more vibrant, energetic, and focused than I had ever heard with my system. I’ve listened to music through a pair of XLH M-2000 monoblock amplifiers for three years or more. Depending on what other components were in my system, these 200-pound behemoths sometimes have been solid performers, and sometimes I’ve had a friend help me move them into a corner because they sounded uninvolving and dead. Part of the reason is that the XLH’s impedance of 10k ohms (which we’ve measured at the input) drives some preamps squirrelly. The Reference was the first preamplifier that came anywhere close to getting the level of performance that these amps are capable of -- not even XLH’s own SL-11XS has come remotely close to letting the M-2000s perform as well. This has been an amazing discovery for me; I’d thought that, after four years, I had the measure of the M-2000s. The Reference sounded equally good with solid-state and tubed amps, showing no preference for either. Its performance also remained consistently good through many changes of cables. Whether the cables used were my reference Dynamic Designs or Stealths, or the fine ASI Live Lines, the Purity Audio consistently delivered the music at a high level. Rolling tubes was especially enjoyable with the Purity Reference. First, there are only two tubes in the circuit, and they never ran hot to the touch. Second, Joe Jurzec sent me a box full of NOS tubes -- ten different pairs -- to try. Other than a pair of Genalexes, all tubes performed exceptionally, though each pair sounded different from the rest; each tube had things it did well and not quite as well as the others, and the Reference let me easily hear the differences between all of them. Overall, my two favorite tubes would be the Amperex Bugle Boys and the Siemens, which sounded the most linear and balanced, favoring no particular part of the music or the audioband. Other tubes sounded particularly good in other areas: Telefunkens (highs and mids), Mullards (beautiful midrange and vocals), RFTs (open, extended highs), Philips (dynamics, bass power), Brimars (good all around). But all of these tubes sounded good in the Reference. 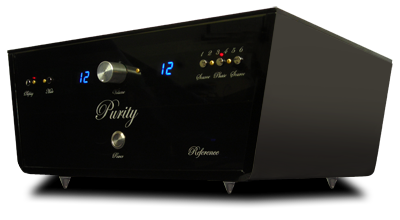 In this era of megabuck electronics, Purity Audio Design’s Purity Reference should be considered something of a bargain at $8995. I haven’t heard another preamplifier for under $10,000 that performs as well, has such a high quality of parts, or is built as well. I preferred the sound of the Reference to those of two preamps I’ve listened to and enjoyed for long periods: the Conrad-Johnson ACT2 Series 2 ($13,500 when available) and the Audio Valve Conductor ($13,995). I felt the Reference was in general more transparent than the ACT2, though the latter is an older design and I haven’t heard the latest preamps from Conrad-Johnson. Although the Conductor and the Purity Reference were comparable in the midrange, the Reference had the more airy and extended top end -- the Conductor sounded more tubey there -- and the deeper, tighter, more powerful bass. Time after time, recording after recording, the Purity consistently did its part to enhance my experience of the music. Even with recordings I don’t care much for, or genres of music I’m not a fan of, the Reference let me hear into and dissect what was going on better than other preamps have. Imagine you’re dating the smartest and most beautiful girl in your school. You can spend all day asking her to help you write up your lab reports so you can get a good grade, or you can explore all the levels of just letting her be herself, as if she is totally into you. The Reference drew from recordings a great deal of detail and information, but it also made me want to just sit back and be entertained -- it let me connect with the music. If you’re looking for a preamplifier at or anywhere near $9000, Purity Audio Design’s Purity Reference should be on your short list. 22315 W. Terry Dr. N.